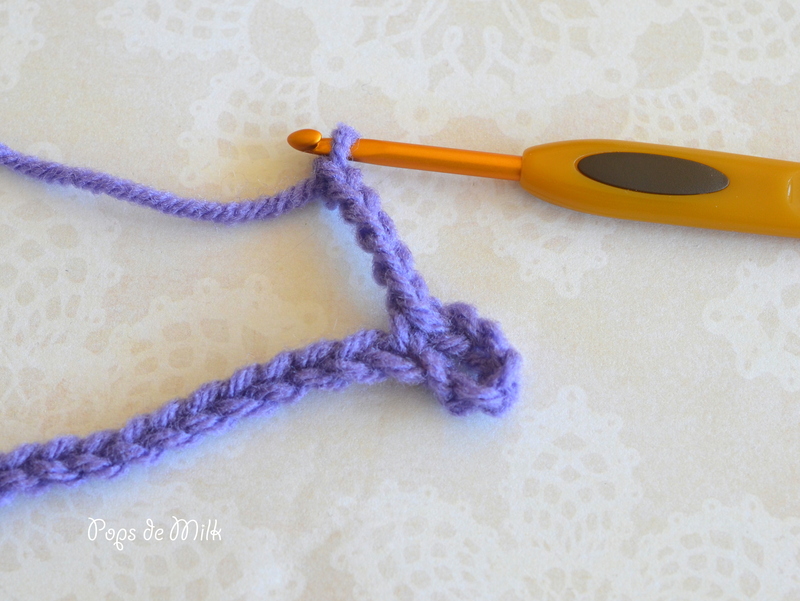 Today I want to show you a very simple stitch that is perfect for beginners and great for quick projects. 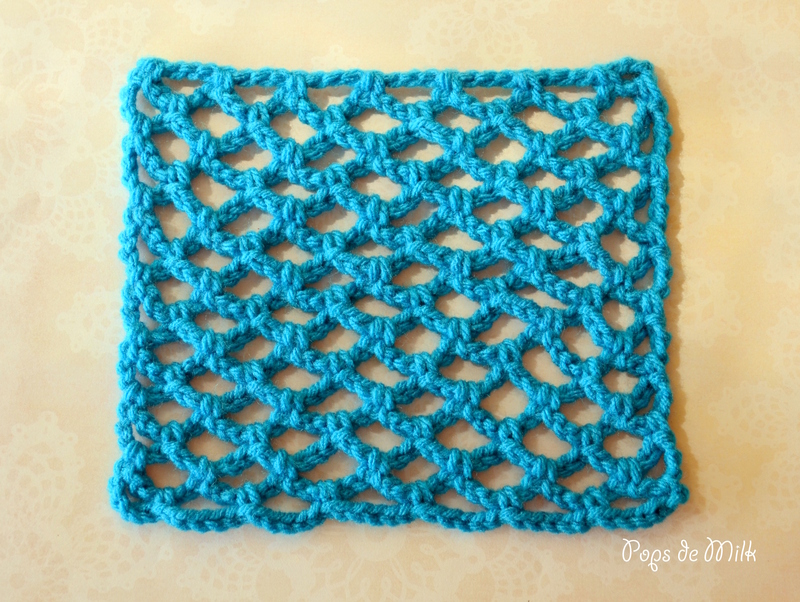 The trellis stitch is made up of a series of chains and single crochet stitches in the chain spaces. 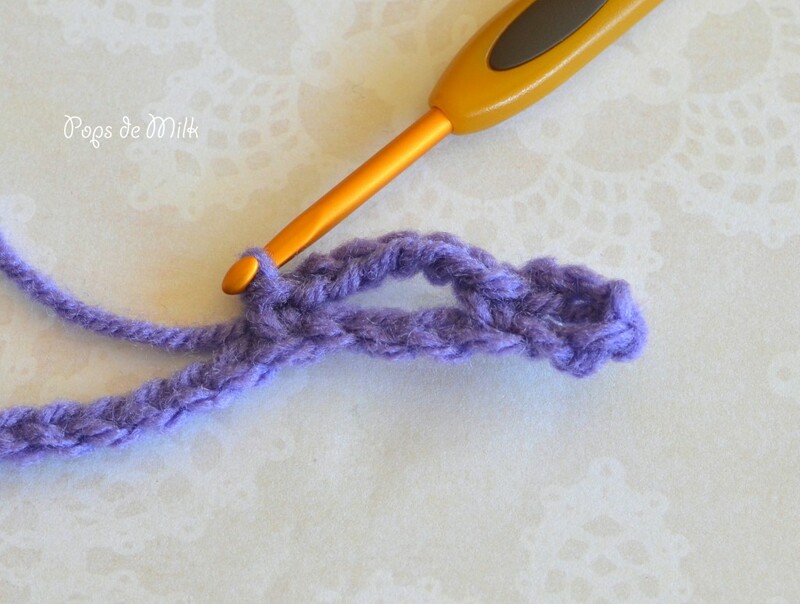 I’m currently using this stitch to crochet a chunky, yet light, spring scarf. 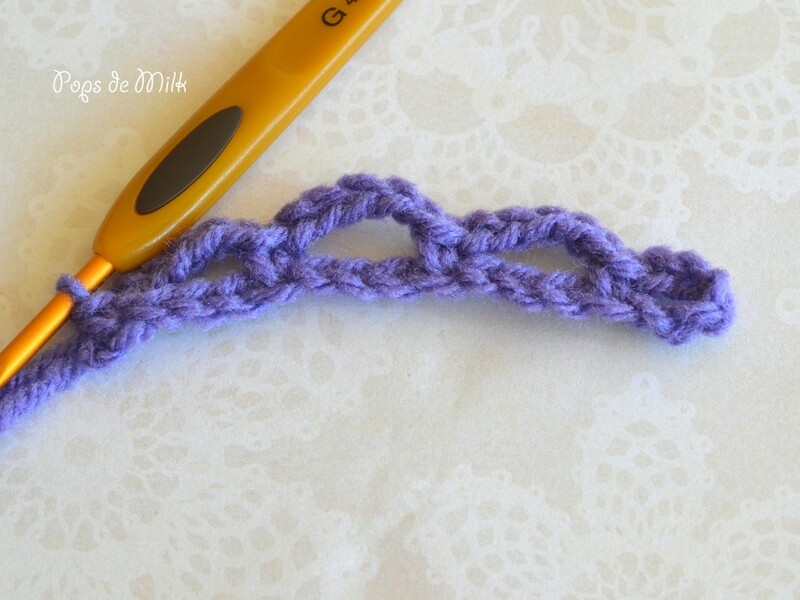 Here’s how you can practice the stitch before I share the scarf pattern instructions next week! 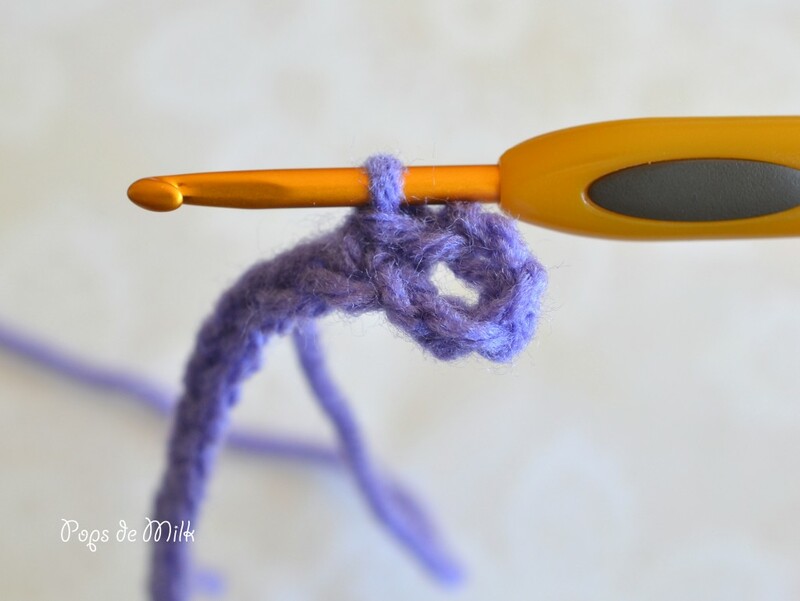 To practice you’ll need a hook and yarn – the size and weight are not important but just make sure the hook is the right size for the yarn. 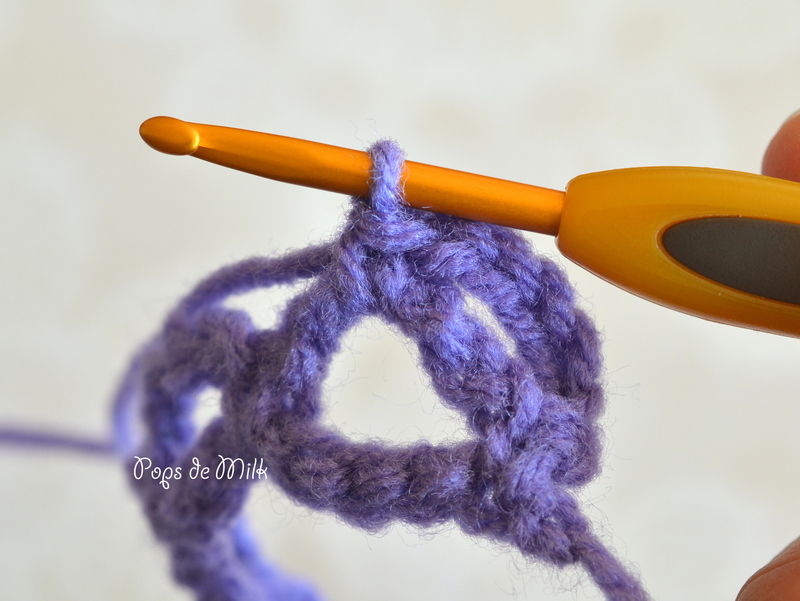 In this example I’m using worsted weight yarn with a size 4.00mm hook. The foundation is worked in multiples of 4 chains plus 2. 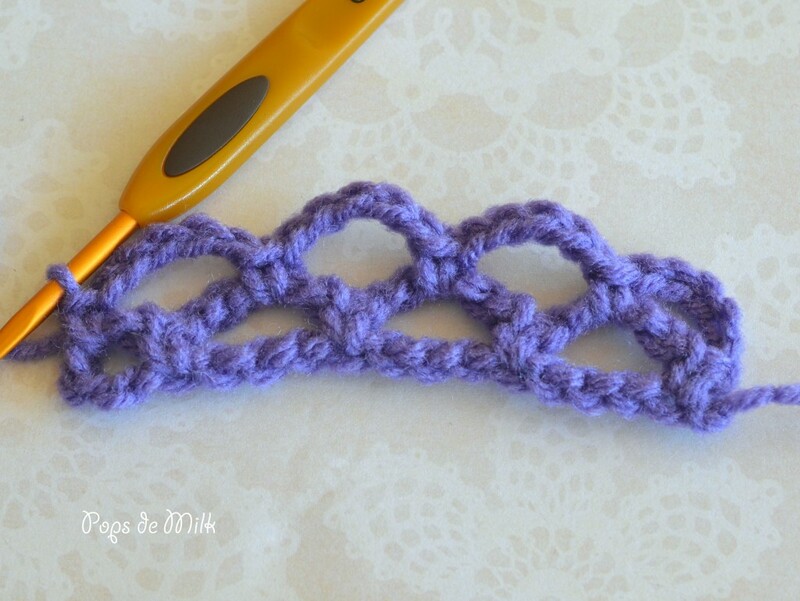 Need a crash course on chains and single crochet? Check out the links below before you get started. 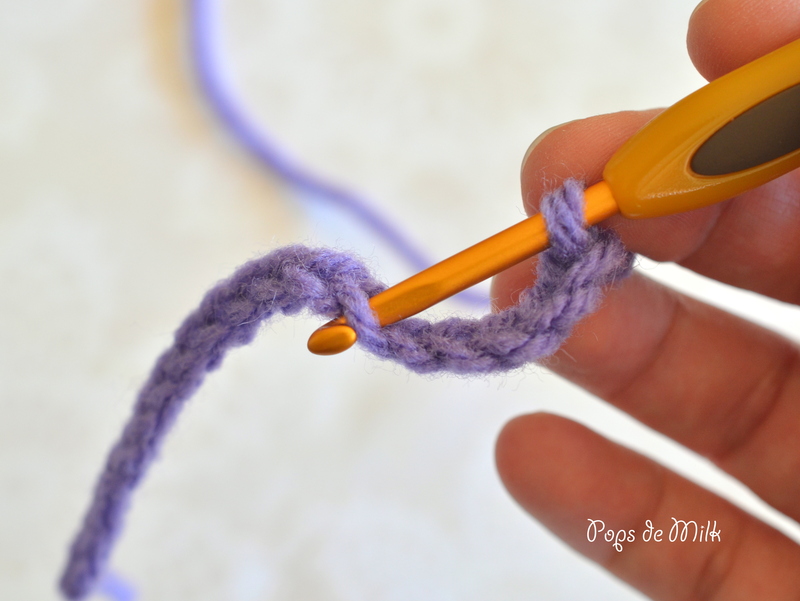 How to make a chain. Row 1: ch 18 (16 chains plus 2), sc in 6th ch from hook, [ch 5, skip 3 ch, sc in next ch] repeat to end, turn. 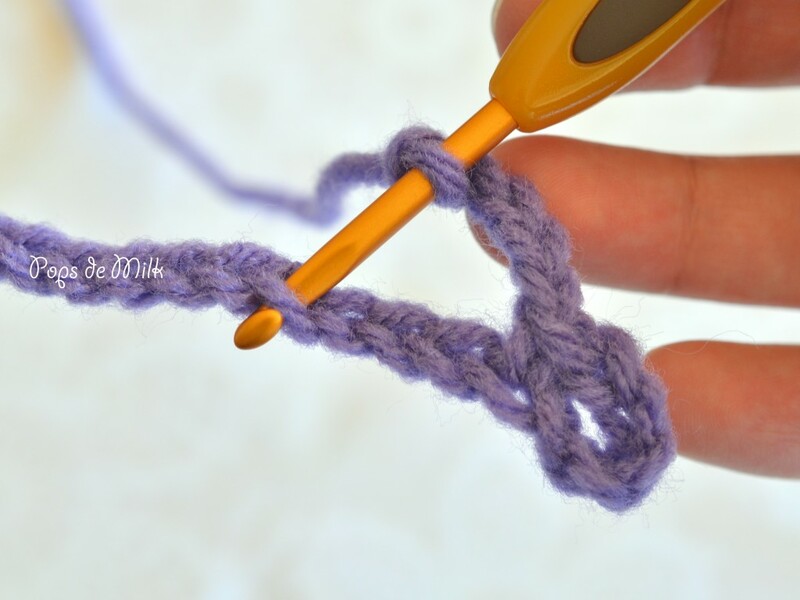 Row 2: [ch 5, sc in next ch-5 space] repeat to end, turn. 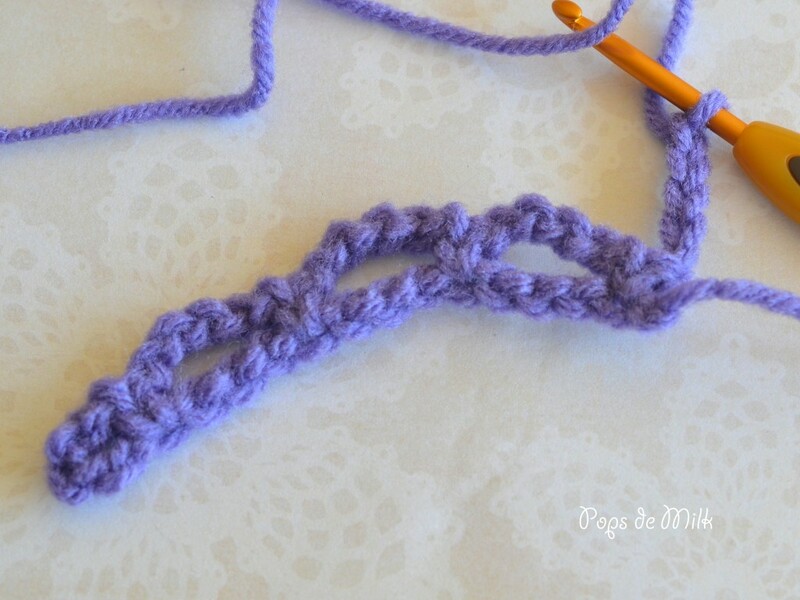 Repeat row 2 until desired length is reached or you feel comfortable with the stitch. Fasten off and admire your stitch sample. 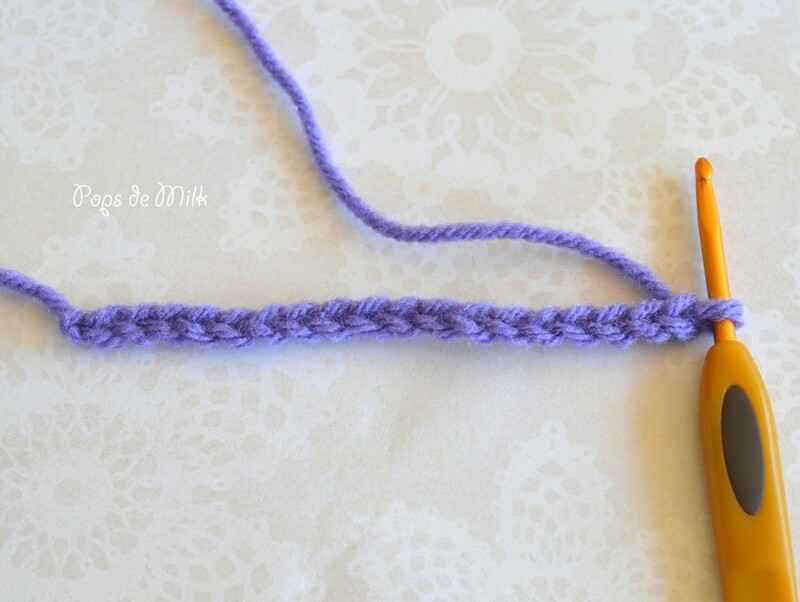 Now you’re ready for next week’s project – Chunky Spring Scarf! Crochet Christmas Tree With Buttons! Awwww, that’s such a sweet story, thank you for sharing it 🙂 And that toddler dress sounds groovy! 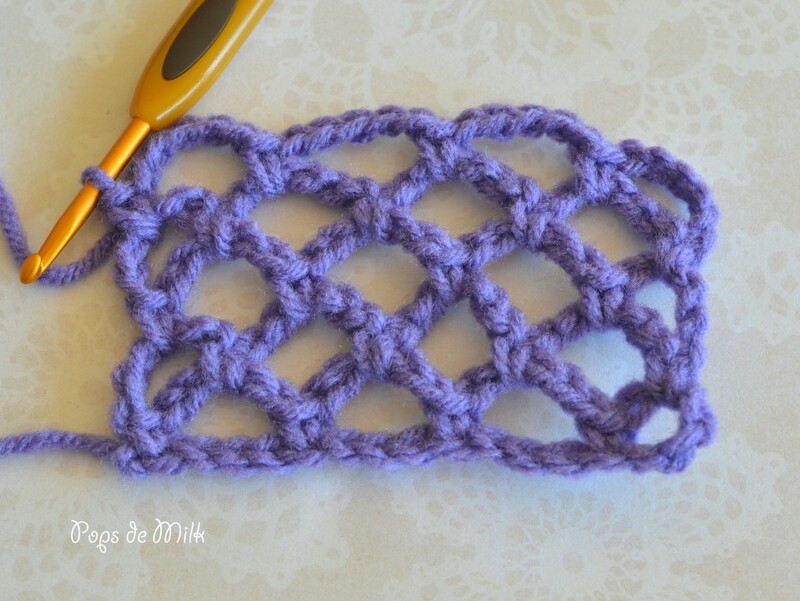 I am so happy i found this tutorial on the Trellis Stitch, I think it is just lovely. Thank you. I just made a cowl with the Trellis stitch that had a picot in the middle of each trellis section, turned out amazing, light and stretchy for summer wear and make worsted weight yarn do magical things!